For 40 years, residents living near British Columbia's Fraser River have traded whispers about a massive white sturgeon.And earlier this week, locals had their belief in this legendary fish validated. 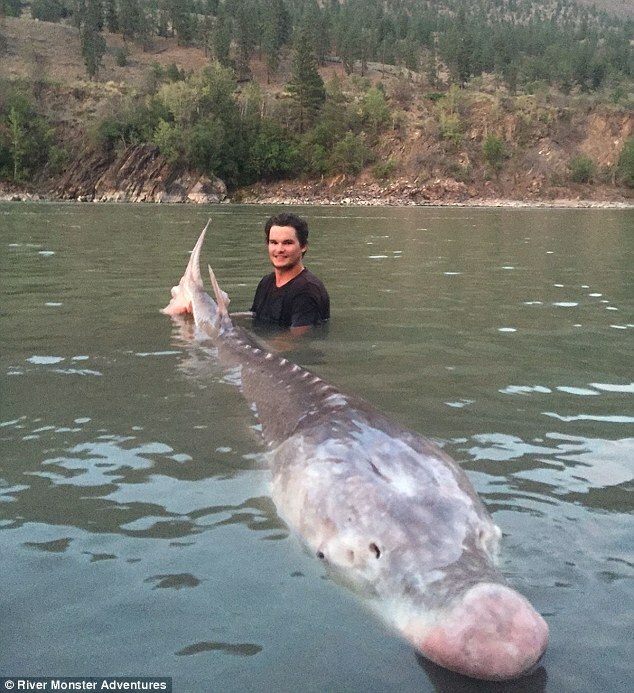 A group of fishermen led by 19-year-old Nick McCabe managed to catch the 650-pound behemoth. Judging by the size of the fish, it's at least 80 years old. At some point along the way, it injured its nose and the way it healed earned the beast the nickname Pig Nose. After McCabe and his friends at the tour company River Monster Adventures caught this beast, they posed for a few photos and released it.As you can see, the sheer size of this thing is pretty incredible.